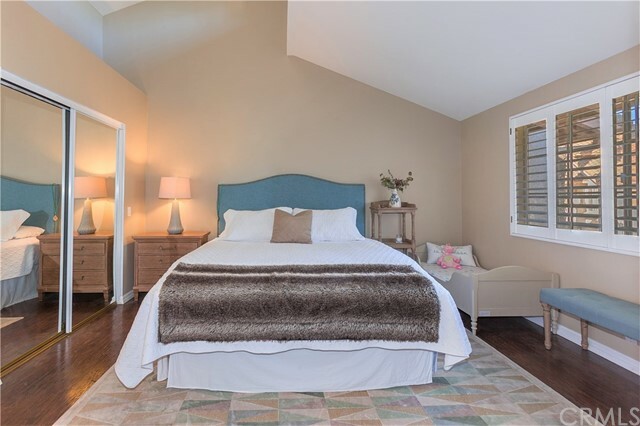 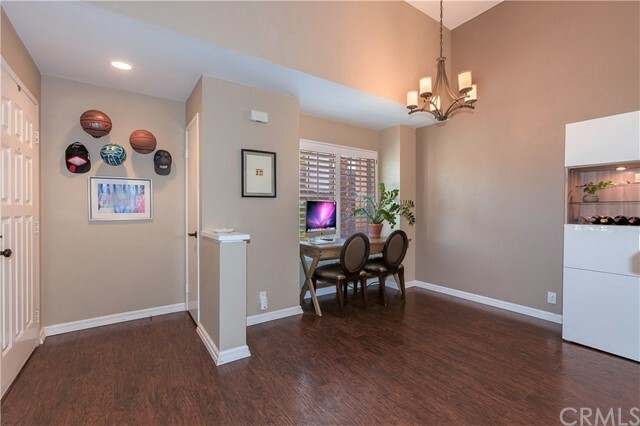 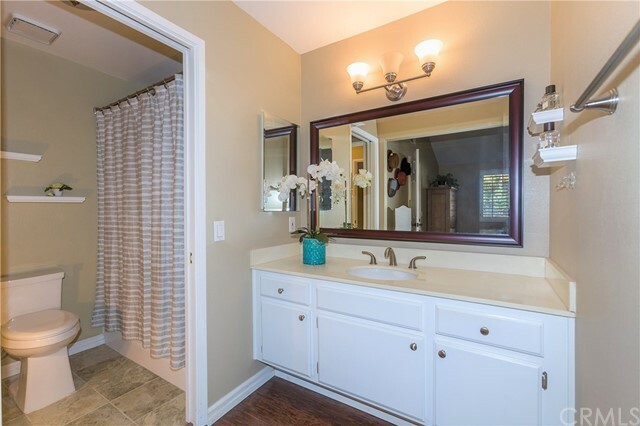 This desirably located UPPER LEVEL condo is in the quiet interior of the highly sought after Briosa community in Laguna Hills. 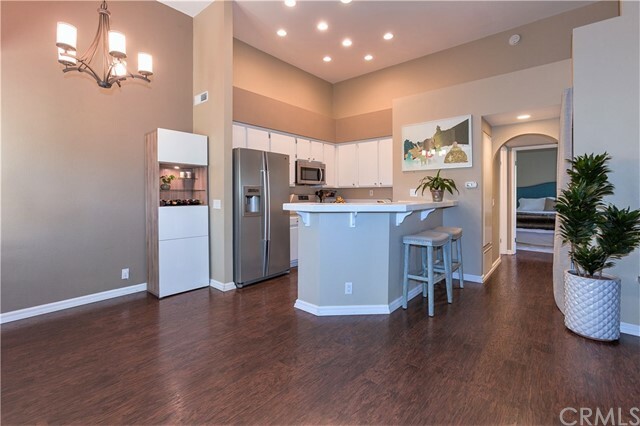 This private corner condominium is move in ready with beautiful improvements. 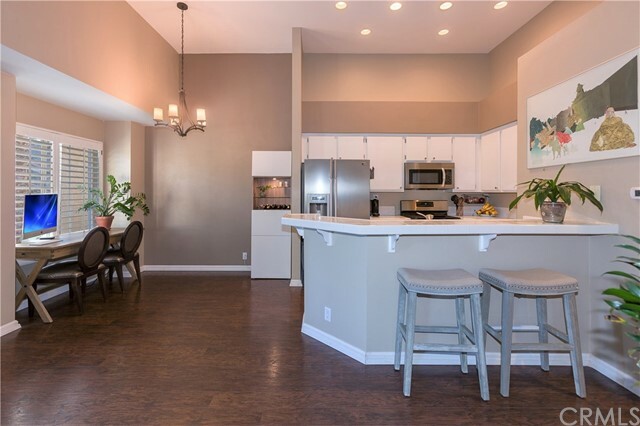 As you enter this charming home, you will feel instantly invited to the large open floor plan with the kitchen, dining and living room areas all together. 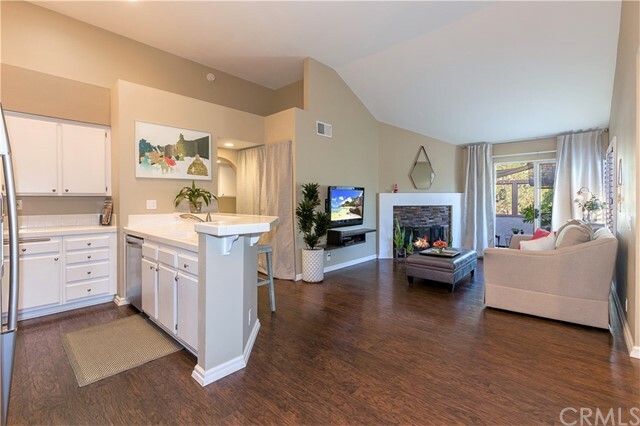 The newer laminate wood flooring complements the paint colors, light and bright kitchen and upgraded stacked stone fireplace. 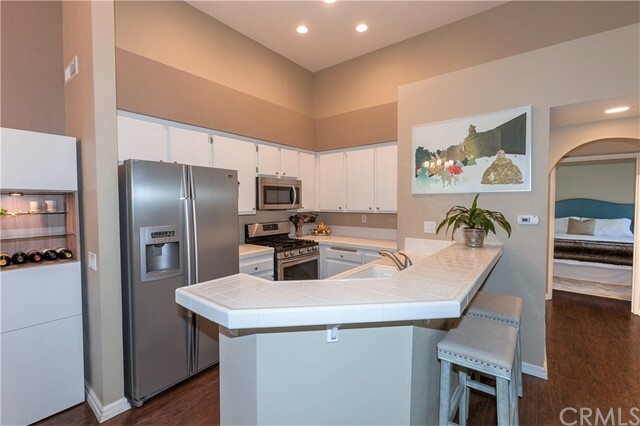 The kitchen features bright white cabinets with upgraded hardware, stainless steel appliances, and a large peninsula with ample bar seating. 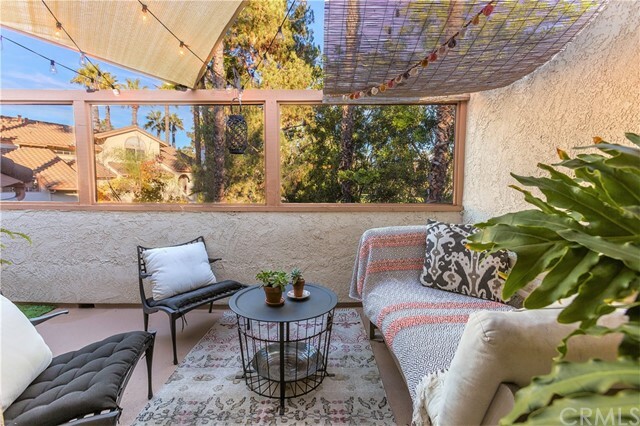 Private balcony extends from living room to secondary bedroom with sliding doors at both. 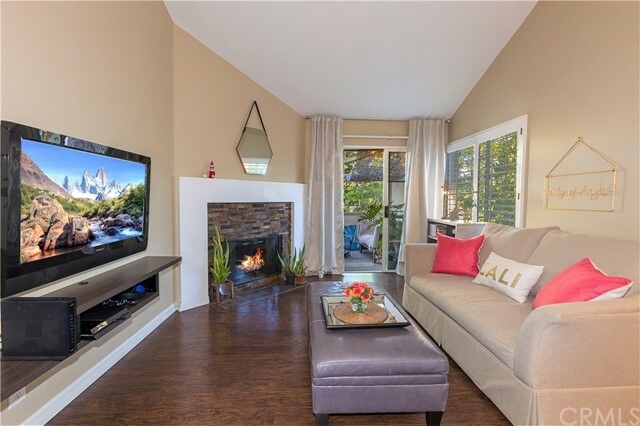 Perfect for entertaining or relaxing in the quiet serene private area. 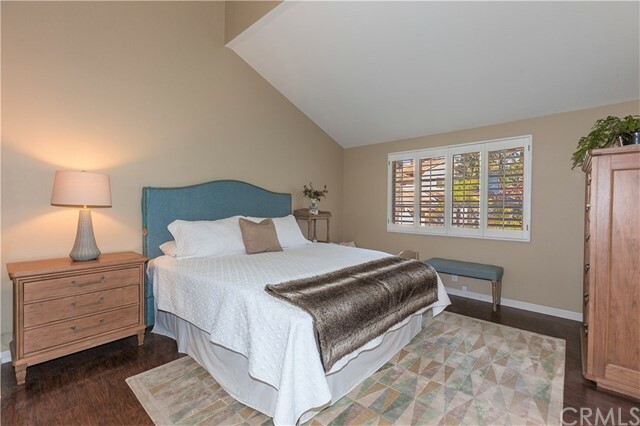 Vaulted ceilings with high windows make the home feel larger and brighter than any of the lower units. 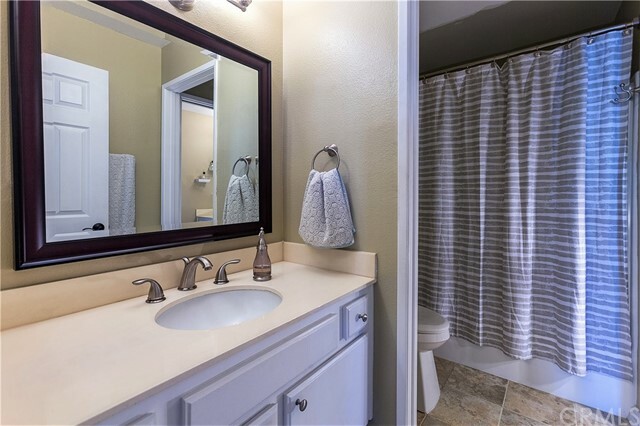 There is also all new plumbing in the kitchen, bathroom and water heater. 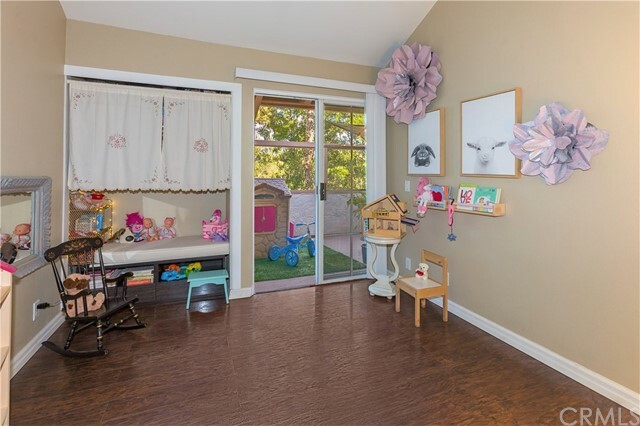 This interior Briosa unit is tucked into the community away from the main thoroughfare of the streets and opens directly onto a huge grassy field perfect for pets and people to play. 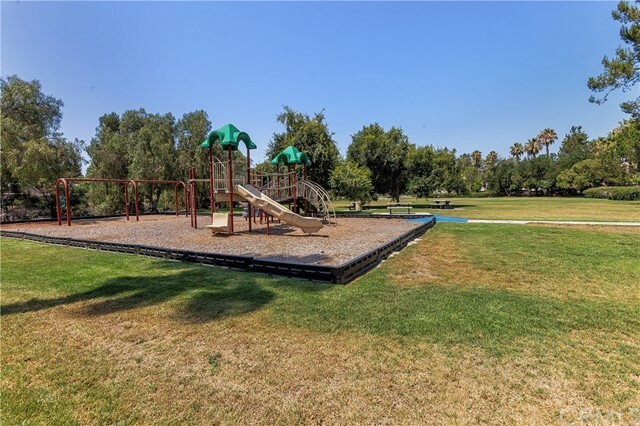 Nearby, you can enjoy a large park, hiking, jogging and horse trails, pool and spa. 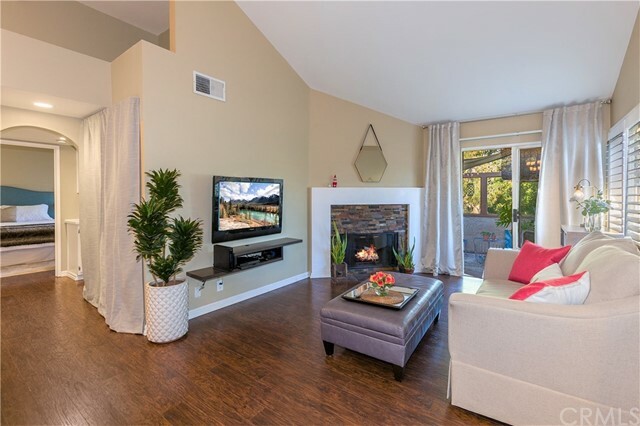 This quiet community in the South Laguna Hills area bordering Aliso Viejo and Laguna Niguel is the best kept secret in Orange County. 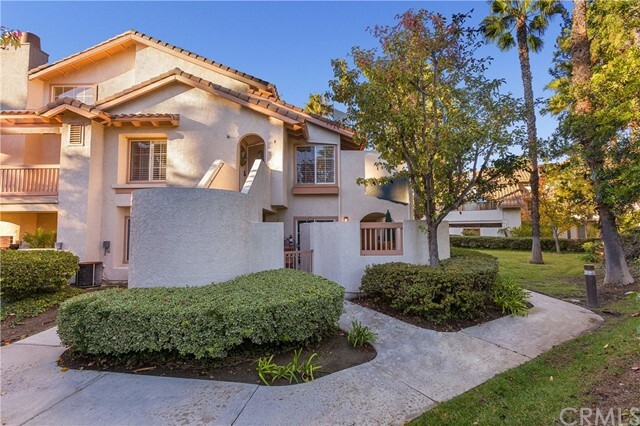 Located minutes from freeways, shopping, dining, theaters and the Pacific Ocean.